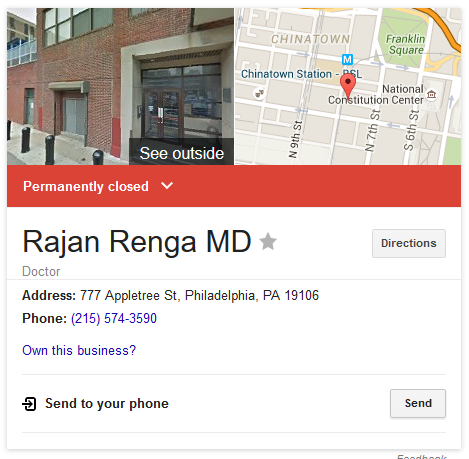 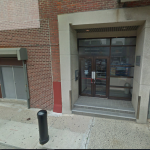 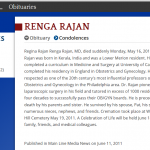 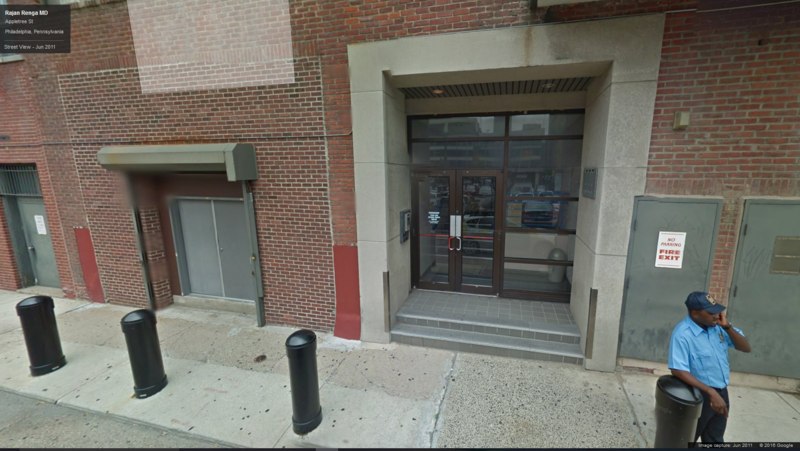 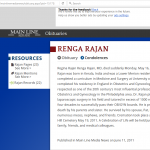 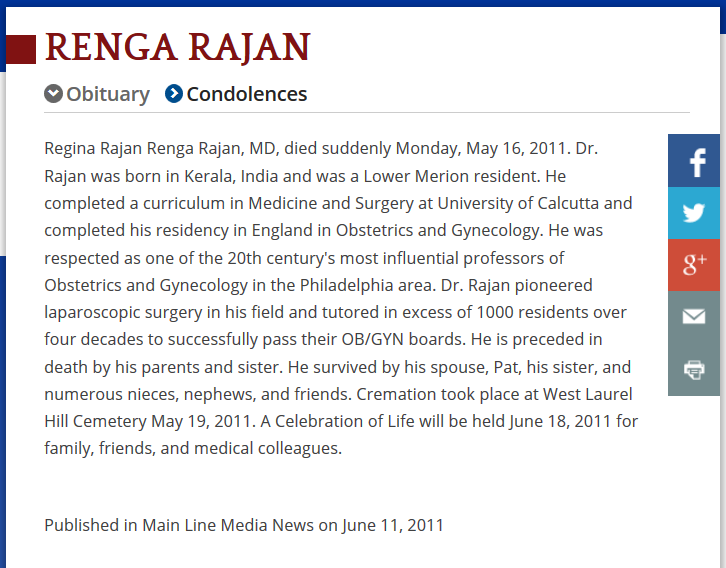 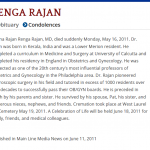 Formerly worked at the Philadelphia Women's Center in Philadelphia, PA.
State of PA, license verification (deceased) -- Renga Rajan, MD (search by name) State of NY, license verification (expired) -- Renga Rajan, MD (search by name) Vitals.com -- Philadelphia Women's Center abortion clinic - Listing for Renga Rajan, MD Superpages.com -- Philadelphia Women's Center abortion clinic - Listing for Renga Rajan, MD Conprofi.com -- Renga Rajan, MD - Listing at Philadelphia abortion clinic Doximity.com -- Renga Rajan, MD - Listing at Philadelphia Women's Center abortion clinic Yellowpages.com -- Renga Rajan, MD - Listing at Philadelphia abortion clinic Legacy.com - Obituary -- Renga Rajan, MD, was deceased on May 16, 2011. 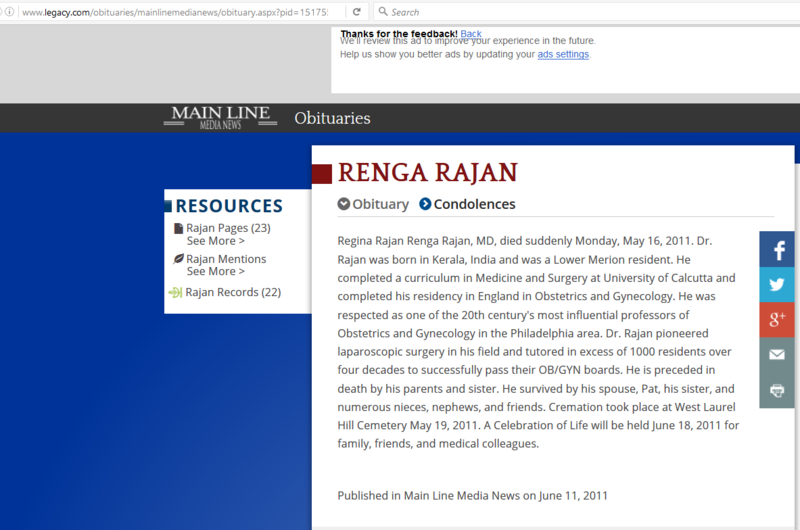 Legacy.com obituary. 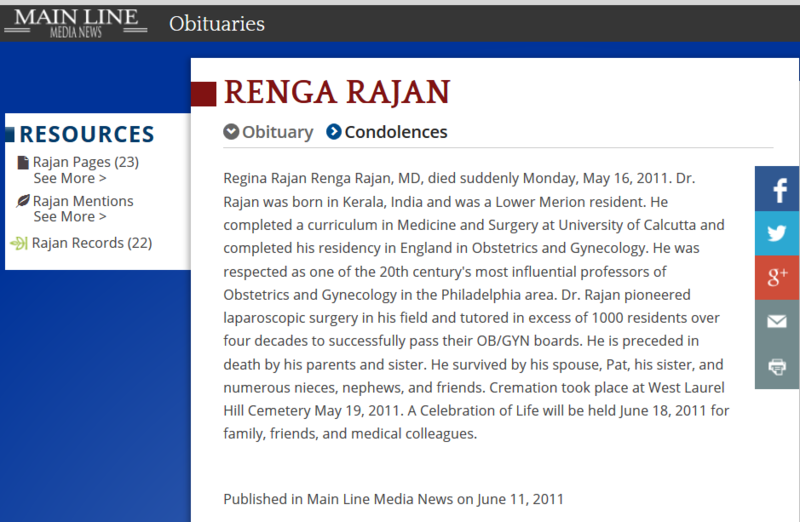 Rajan was deceased 5-16-2011.